You find pleasure in traveling with a Pisces native. You associate this sign with journeys, including mind voyages. Learning becomes an adventure. Both signs have the symbol of water and they respect each other. There is a lot of sympathy, but you tend to get mad when your desires are not fulfilled. Together you want to change the world overnight. Do not rush things, read, study, and be perceptive and subtle. Do not try to push them, as they are stubborn. 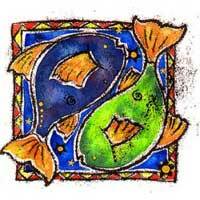 Pisces can help you write, put your thoughts on a sheet, win the audience with your creative efforts. 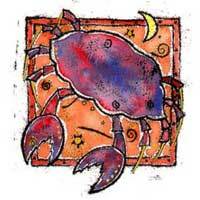 In a relationship with Pisces you will know or feel what is about to happen. Neptune and Moon symbolize inspiration, spirituality and simultaneously the complete lack of practicality. Psychology is one of your interests as well as the way people think and live. You broaden horizons. Chances of success are favorable although occasionally it may lack a solid base relationship. The combination Moon - Neptune is a romantic one.